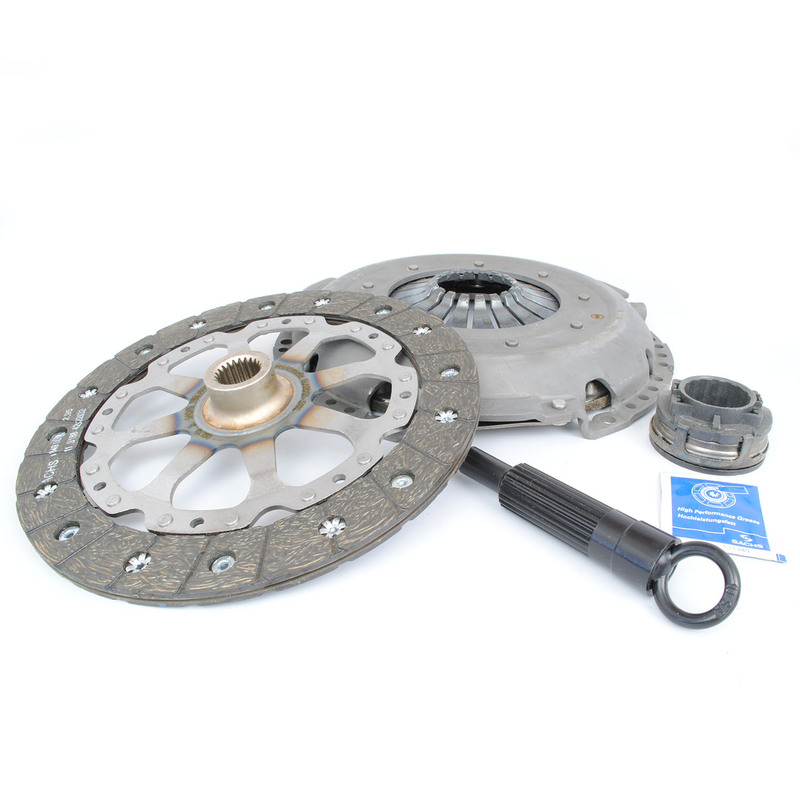 Sachs is the supplier of clutches for Porsche. When you order a clutch kit from your local dealer, it will say SACHS on it. We sell the same kit at a fraction of the price. Our kit includes the necessities when changing your clutch; pressure plate, disc, release bearing, pressure plate bolts (not shown in picture), spline grease, and alignment tool.